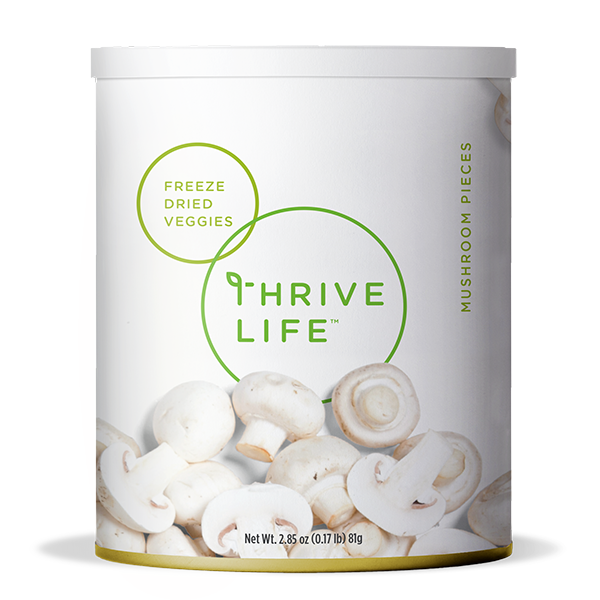 THRIVE freeze-dried mushroom pieces are a distinct and flavorful vegetable that will help you reach your health goals. Incorporating THRIVE Mushroom Pieces into your daily diet will support your immune system, allowing you to feel fit and strong. THRIVE Mushroom Pieces rehydrate quickly so you can use them in place of fresh mushrooms in any recipe. Try using THRIVE Mushroom Pieces for a topping on your favorite pasta and pizza. The rich, bold taste will amaze you! Add 1⁄3 cup of water to 1 cup Mushroom Pieces; let sit covered for 3-5 minutes or until tender.